The evil Dr. Kron-Tox has kidnapped Uncle Al and whisked him away in his time machine! Luckily, Andrew has a time machine of his own. But like most of Andrew’s inventions, the Time-a-Tron doesn’t work quite right. It tumbles Andrew, Judy, and Thudd back to the very beginning of the universe! 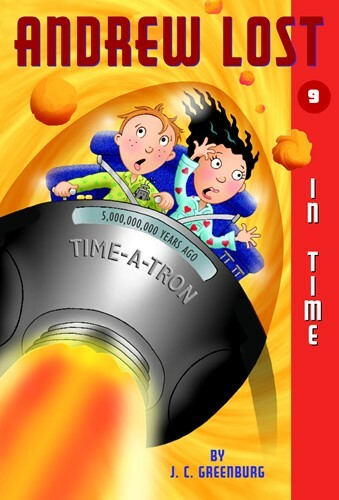 Will they regain control of the Time-a-Tron in time to save Uncle Al . . . and themselves? J. C. Greenburg is the author of many books for young people in the library and reference field. She’s a frequent visitor to schools and pays close attention to kid feedback. She’s married to Dan Greenburg of The Zack Files. The author lives in Hastings-on-Hudson, NY.